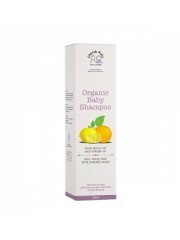 A soft naturally lathering shampoo and body wash ideal for the whole family. 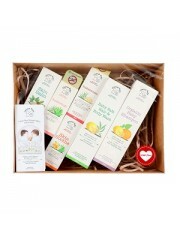 Using a blend of tea..
• Ideal gift for baby shower, 1st month celebration, or your own precious cherub • Pre-wr..
Made using certified organic oils of olive, sunflower and almond oils, and the certified essential o..
Take your little cherub on outdoor adventures without the worry of bites and stings. 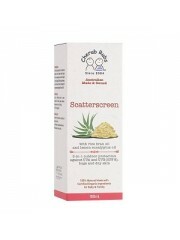 A safe and effe..
An all natural, non greasy 3-in-1 outdoor skin protection for the whole family. Organic Aloe Vera..
Cherub Rubs Organic Skin Balm is a rich and nourishing cream for chapped and dried skin on the hands.. 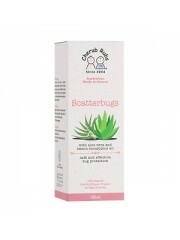 This is a stronger Scatterbugs formula, with extra Organic Lemon Eucalyptus Oil. 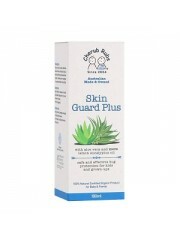 Specially formulate..